Minor point - apparently the World Medical Association(WMA) is headed by Dr. Yoram Blachar who also happens to be the chairman of the Israeli Medical Association(IMA), this might help explain why the WMA is dragging its feet in booting out the IMA. The Israeli Medical Associationit has a duty to protest about war crimes of this kind, but has refused to do so.. Some 130 distinguished doctors in Britain Saturday called for a boycott of the Israeli Medical Association (IMA) and its expulsion from the World Medical Association (WMA). "The IMA has forfeited its right to membership of the international medical community," said the doctors, led by Professor of Surgical Science at University College of London Colin Green and award-winning Dr Pauline Cutting. "The Israeli Medical Association has a duty to protest about war crimes of this kind, but has refused to do so. Appeals to the World Medical Association and the British Medical Association have also been rebuffed," they said. The call comes after 18 leading Palestinian health organizations appealed to fellow professionals abroad in March to recognize how the IMA has forfeited its right to membership of the international medical community. In a letter to the Guardian, the doctors expressed grave concern about the health-related impact of Israeli policy on Palestinian society. We are calling for a boycott of the Israeli Medical Association and its expulsion from the WMA. There is a precedent for this: the expulsion of the Medical Association of South Africa during the apartheid era. A boycott is an ethical and moral imperative when conventional channels do not function, for otherwise we are merely turning away. "Persistent violations of medical ethics have accompanied Israel's occupation. The Israeli Defense Force has systematically flouted the fourth Geneva convention guaranteeing a civilian population unfettered access to medical services," they said. Their letter reported that instead of being given immunity, medical staff had been killed with hundreds of ambulances fired upon by Israeli troops. "Desperately ill people, and newborn babies, die at checkpoints because soldiers bar the way to hospital. The public-health infrastructure, including water and electricity supplies, is willfully bombed," it said. The doctors further warned that the passage of essential medicines like anti-cancer drugs and kidney dialysis fluids were blocked, while in the West Bank, the apartheid wall has "destroyed any coherence in the primary health system." In Gaza, UN rapporteurs have repeatedly described the situation as a humanitarian catastrophe, with 25 percent of children clinically malnourished. Calling for a boycott of the IMA, the doctors said that there had been a precedent set for its expulsion from the WMA set during the apartheid era when the Medical Association of South Africa was expelled. "A boycott is an ethical and moral imperative when conventional channels do not function. Otherwise, we are merely turning away," they warned. You suggest that, in voting to boycott Israel, the NUJ has strayed too far from its legitimate business. We do not think such arguments apply to our grave concerns as doctors about the health-related impact of Israeli policy on Palestinian society. Persistent violations of medical ethics have accompanied Israel's occupation. The Israeli Defence Force has systematically flouted the fourth Geneva convention guaranteeing a civilian population unfettered access to medical services and immunity for medical staff. Ambulances are fired on (hundreds of cases) and their personnel killed. Desperately ill people, and newborn babies, die at checkpoints because soldiers bar the way to hospital. The public-health infrastructure, including water and electricity supplies, is wilfully bombed, and the passage of essential medicines like anti-cancer drugs and kidney dialysis fluids blocked. In the West Bank, the apartheid wall has destroyed any coherence in the primary health system. UN rapporteurs have described Gaza as a humanitarian catastrophe, with 25% of children clinically malnourished. The Israeli Medical Association has a duty to protest about war crimes of this kind, but has refused to do so. Appeals to the World Medical Association and the British Medical Association have also been rebuffed. Eighteen leading Palestinian health organisations have appealled to fellow professionals abroad to recognise how the IMA has forfeited its right to membership of the international medical community. In 1996 Amnesty International concluded that Israeli doctors working with the security services "form part of a system in which detainees are tortured, ill-treated and humiliated in ways that place prison medical practice in conflict with medical ethics". 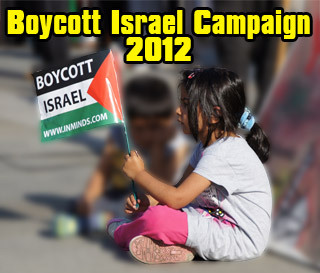 Your leader (April 20) suggests that in voting to boycott Israel, the NUJ strayed too far from its legitimate business. We do not think such arguments apply to our grave concerns as doctors about the health-related impact of Israeli policy on Palestinian society. Persistent violations of medical ethics have accompanied Israel's assault and occupation of Palestinian society over many years. In 1996 Amnesty International concluded that Israeli doctors working with the security services "form part of a system in which detainees are tortured, ill-treated and humiliated in ways that place prison medical practice in conflict with medical ethics". The Israeli Defence Force has systematically flouted the Fourth Geneva Convention guaranteeing a civilian population unfettered access to medical services and immunity for medical staff. 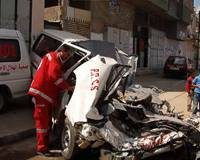 Ambulances are fired on (hundreds of cases) and their personnel killed. Desperately ill people, and newborn babies, die at checkpoints because soldiers bar the way to hospital. The public health infrastructure, including water and electricity supplies, are wilfully bombed, and the passage of essential medicines like anti-cancer drugs and kidney dialysis fluids blocked. In the West Bankthe apartheid Wall has destroyed any coherence in the primary health system. For several years United Nations rapporteurs have been describing Gaza as a humanitarian catastrophe, with 25% of children clinically malnourished. The Israeli Medical Association has a duty to protest about war crimes of this kind, but has refused to do so. 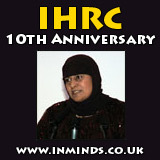 Their President's response to the mountain of documentation by human rights organisations (Amnesty alone has published over 500 reports since 2000) was to call it "anti-semitic lies and filth" in the British Medical Journal. The Israeli Medical Associations President's response to the mountain of documentation by human rights organisations was to call it "anti-semitic lies and filth" in the British Medical Journal. Appeals to the World Medical Association- the official international watchdog on medical ethics-and WMA member the British Medical Association have been similarly rebuffed. 18 leading Palestinian organisations in the health field have issued a joint appeal to fellow professionals abroad to recognise how the IMA has forfeited its right to membership of the international medical community. We, the undersigned 130 UK doctors and medical scientists, are calling for a boycott of the IMA and its expulsion from the WMA. There is a precedent for this: the expulsion of the Medical Association of South Africa during the apartheid era. A boycott is an ethical and moral imperative when conventional channels do not function, for otherwise we are merely turning away. It is not contrary to 'academic freedom', as some assert, but in its very spirit. We appeal to colleagues to join us.